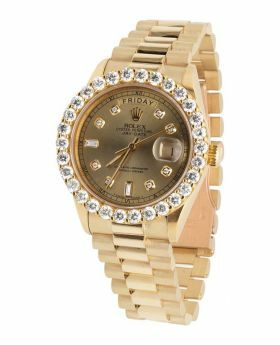 Take your factory Rolex Datejust to the next level with this custom Rolex stainless steel band with triple micron 18k gold plating. 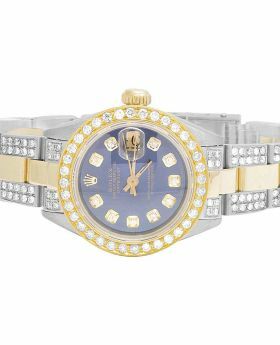 This band features over 5.5 carats of genuine, natural diamonds (SI1-SI3 clarity, H-I color) set on a stainless steel band custom made for rolex datejust All diamonds are machine-set for a clean, uniform finish. Each link features more than 50 diamonds. Diamonds set on the center link and side link. 7.25 inches unmounted and provides a total of 9 inches once mounted on your 36mm Rolex Datejust watch case. 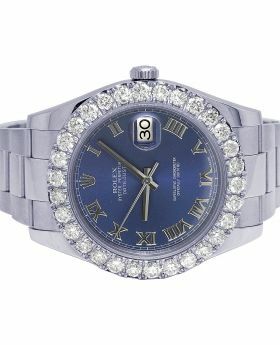 Made to fit Rolex Datejust models, will not fit a 41 mm Rolex Datejust2. Will fit all 36 MM Rolex Datejust Models. Adjustable in size (links can be removed). 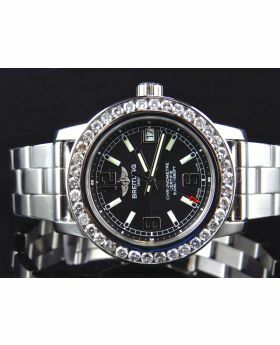 Please note - Price only includes custom diamond band - Does not include rolex watch. 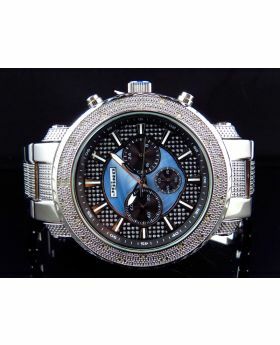 All our watches are guaranteed to be authentic and with genuine diamonds. 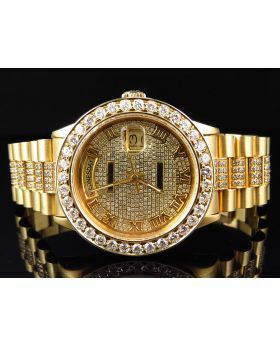 Jewelry Unlimited has not and will not sell anything that is fake or counterfeit. 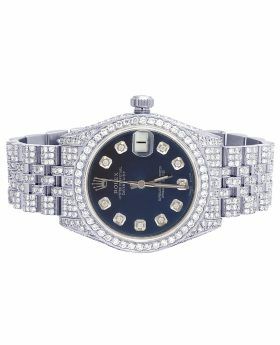 All watches and jewelry are inspected to make sure it is authentic, the movement is working properly and the stones are not loose. 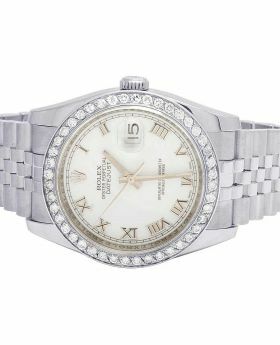 Any modifications made to watches, such as, but not limited to, the addition of diamonds, changes to the bezel, dial and/or bracelet will be clearly stated in the listing and is entirely done aftermarket. If you have any questions about the watch or what as the customizations done to it, please feel free to ask by turning in a query or calling 1-866-585-8786. 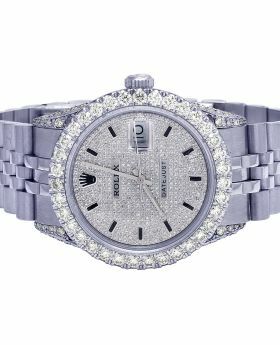 Jewelry Unlimited is not an authorized reseller of the some of the brands it carries, including and not limited to brands such as Rolex, Cartier, Breitling, Gucci, Hublot, Audemars Piguet and Patek Phillipe. 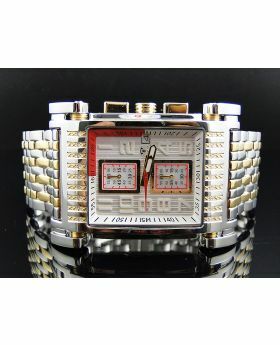 Therefore the buyer should know that the watch is a custom design by Jewelry Unlimited and not an original watch as represented by the manufacture. 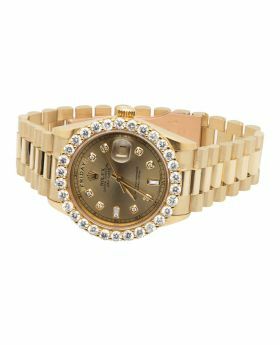 Therefore there is no confusion, Jewelry Unlimited is not affiliated with some of the brands listed on our website and does not claim our customized watches to be an original product of the represented brand. Jewelry Unlimited has no intention of violating an intellectual property or trademark laws.